BioZyme® Inc., manufacturers of natural supplements for a variety of livestock, has promoted Lindsey Grimes of St. Joseph, MO to Area Sales Manager. In her new role, Grimes will be responsible for developing the sales territory in Indiana and Ohio, supporting BioZyme’s dealer network and helping producers maximize their operations through use of BioZyme’s products. “Lindsey has a strong understanding of the beef industry from the commercial side to the purebred side, and with her nutritional background, she will be a great asset to customers and dealers in her territory,” said Michael Wadle, BioZyme Director of National Sales – North. Hired by BioZyme in 2015, Grimes previously held the position of Nutrition Coordinator and was responsible for managing the online Feed Value Barometer, developing feed rations for customers, coordinating producer meetings and dealer trainings, and aiding the nutrition team. Grimes, who grew up in the beef industry, has a Bachelors of Science in Animal Science from Ohio State University and a Master of Science in Ruminant from Kansas State University. She is a member of the National Cattlemen’s Beef Association, American Angus Association, Ohio Angus Association and American Society of Animal Sciences. 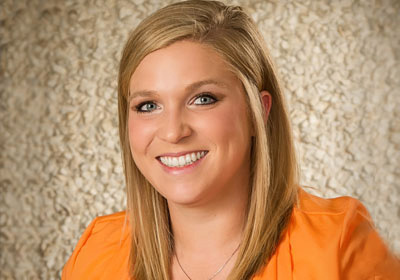 In January 2016, Grimes was selected to participate in the International Production & Processing Expo’s (IPPE) Young Leaders “30 Under 30” program which recognizes professional leadership qualities and exposes participants to the world’s largest annual trade show for meat and poultry processing products and the manufacture of feed and pet food products. Grimes can be reached at 816-596-8779 or lgrimes@biozymeinc.com. To locate a BioZyme Area Sales Manager in your area, visit www.biozymeinc.com/our-staff/.